Great sleep starts with a great bed. A secret to great sleep? The right bed. Make no mistake: sleep is a performance activity. Like any other results-driven endeavor, sleep requires the right equipment to deliver the best results. Think of it this way. You could run a 10K road race in flip flops, but you’re not likely to post your best time — and you’re probably going to be pretty uncomfortable. The same is true for sleep. You can sleep on a bad mattress, but you’re probably not going to sleep very well. If you have the right equipment you will sleep better. I shake my head when I hear someone wants to spend $800 on a mattress and then use it for 10 years. A good, high-quality mattress will typically retail for $1,500–3,000. Before you say no way, remember this: There is no other piece of furniture you will spend more time on than your bed. It is a worthwhile investment to spend as much on a mattress as your budget will allow. My grandfather (who passed away at 103 and 10 months) used to always say “spend money on eye glasses, shoes, and your bed, its worth it!” Grandpa Jack was a smart man. • Spring. These are the traditional mattresses many of us are familiar with, which use innerspring coils to provide support. This type of mattress provides less contouring to the body. Spring mattresses allow for easy movement during sleep. • Memory foam. Foam mattresses mold to the shape of your body, and also help reduce the effect of motion for bed partners. Memory foam can restrict movement during sleep, and also tends to generate more heat than a spring mattress. • Air. These mattresses can be adjusted to customize support, firmness, and comfort. Air mattresses contour to the body. • Water. Waterbeds provide a lot of contour to the body, and offer the ability to control temperature. They require maintenance beyond other mattress types. Size matters, too. Two adults need more room than a full mattress offers in order to sleep comfortably and well throughout the night — and that’s before you add kids and pets clamoring in. Your mattress shopping guide You’ve done your homework. Now it’s time to test some mattresses in person. Here is a step-by-step guide to finding the perfect mattress for you. Plan on spending at least an hour at the store. • Test out mattresses near the end of the day, when you’re tired — that’s when your body will be in a state that most closely resembles your actual bedtime. • Dress in loose fitting clothes. Don’t forget to wear comfortable socks. • Bring your own pillow. Your goal is to re-create as much of your actual sleep experience as is possible. If you wear an eye mask or earplugs for sleep, bring those as well. • Don’t forget your partner. Sleeping partners should test and decide on mattresses together. When you arrive at the store, ask a salesperson to show you to the mattresses you’re interested in testing. Next — and this is critical — politely ask the salesperson to leave you alone. You can’t properly evaluate potential mattresses with even the most patient and helpful salesperson hovering over you. Take off your shoes and lie down in your starting sleep position. Close your eyes and relax in this position for 7–10 minutes. Why so long? When you move from a standing to a recumbent position, your body needs some time to recalibrate and your heart rate to slow down as you relax toward a state similar to when you actually go to sleep. Set a timer on your phone so you can relax and get a sense of the bed. When the alarm pings, switch to your next most common sleep position. (Have your partner do the same.) Spend another 7–8 minutes with your eyes closed, for a total of 15 minutes total for each bed. Repeat this process with each mattress you’re considering. As soon as you’ve finished a testing session, rate your experience of the mattress on a scale from 1–10, before moving on to the next bed. If you’re testing beds with a partner, you both should rate each mattress — but don’t share your ratings with one another until after you’ve tested all your candidates. Troubleshooting tips • A weight difference of 75 or more pounds between bed partners likely means you each need different degrees of support. For these couples, self-adjustable beds can provide individualized support that traditional mattresses typically can’t. Air beds work well with this group because you can actually change the support level. You can also look for “zoned” beds which give differing levels of support in different places. • People with allergies and chemical sensitivities need to pay special attention to materials and construction of their beds. Don’t just rely on a “natural” label. 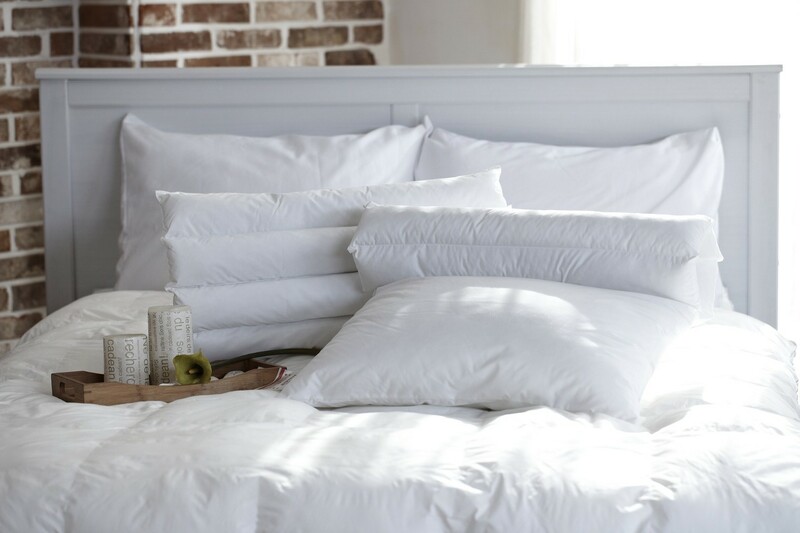 Find a seller that deals extensively in chemical-free bedding. Ask specific questions about how mattresses are made and the sourcing of materials. Make sure chem-free, “organic” beds are certified as such. • Don’t be distracted by marketing buzzwords, such as the “cooling” power of memory foam gel (hint: there is nothing cooling about memory foam), or the super-sized number of coils in a spring mattress. To be a savvy consumer, do your homework and seek out a reputable, knowledgeable seller who is interested in talking to you about your sleep habits and preferences, not the latest catchphrases. The lifespan of a mattress is typically 7–8 years, at most. But that doesn’t mean you should automatically wait that long to replace your mattress. When gauging the right time to invest in a new mattress, there’s no important measurement than how you feel during and after your nightly sleep. Your body will tell you when it’s time for your old mattress to go. If you’re experiencing pain and stiffness regularly — 3–4 times a week on a routine basis — it’s time to start looking for a new mattress, even if you haven’t hit that 7–8 year mark. Originally published at www.thesleepdoctor.com on February 23, 2017.